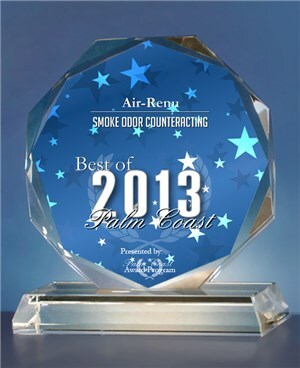 The Palm Coast Award's Program Has Chosen Air-ReNu, Number One in the Smoke Odor Control Classification. 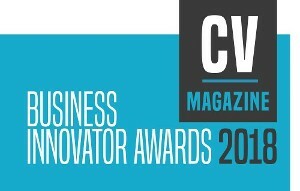 Smoking odors and the resulting residue are most difficult to eliminate. The invisible gases and particles from the smoke are absorbed by the floating dust/water molecules, drifting throughout the room. Over time, some of the odors dissipate and others most notably smoking odors and particle matter become embedded within the walls, ceilings, carpeting, and drapes. This creates what is known as third-hand smoke, a real health hazard. The majority, of our customers purchase our additive, to eliminate undesirable odors, consider your investment as a permanent air purification system a solution for maintaining healthy indoor air quality, for you and your family. 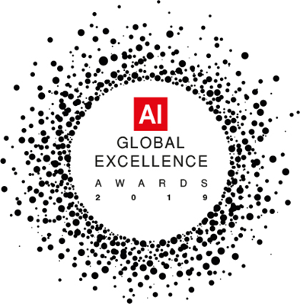 Our 2019 Global Excellence recipients are handpicked by AI magazine based on the comprehensive analysis and research undertaken by the wider group.